A New Day has come and every day that goes by we start realising it more and more. Cosmic Energy is unblocked and everything comes easier for good or ill. Since last New Moon, the cosmic balance has changed the sequence of troubles caused by the Eclipses and the Retrograde Planter. The New Moon refreshed the energy of the World and its cosmic impact can only be compared only by the first New Moon after the Autumn Equinox which will take place in October. As we actually approach the Equinox, balance is restored and things now can go smoothly. The Magic of Water will cleanse the Realm. Now things go even better. Saturn Direct – Less restrictions, anxiety, frustration and feeling of being held down! 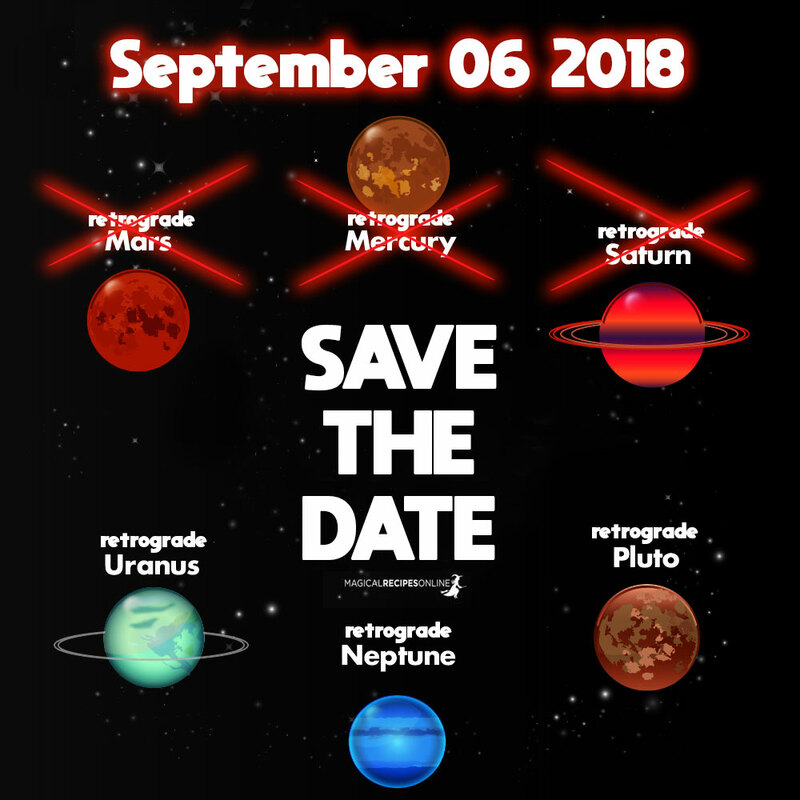 Since September 6th , 70% of the planets are in direct motion, when only few weeks ago 60% of the planets were retrograde! You can only imagine how much of this is going to change! Let us remind you August Full Moon was pretty clear about its intentions. Saturn’s trine with Uranus will show us the way to make innovation and inspiration reality. We are forged by the passion of our hearts and determined to win! 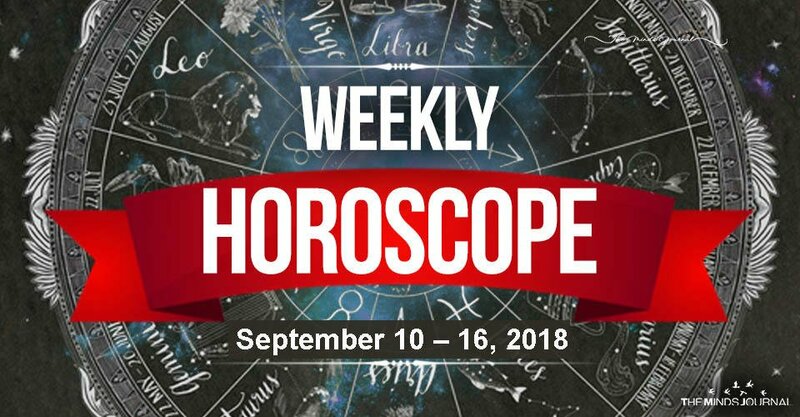 All Earth Signs (Taurus, Virgo, Capricorn) and Water Signs (Cancer, Scorpio, Pisces) and favored this week. Moreover, Gemini (along with Virgo) will be the first to notice these blessings since Mercury is now direct! All the tension caused by the challenging aspects of this Summer seemed to fade away day by day as now the Cosmic Balance has changed – favouring you. After the impact of the New Moon, you will be directed in simplifying and detoxifying your everyday life. Work becomes more important than before, setting new rules to your time schedule. Health is also important this week. Your Tarot Card of the Day can reveal so much more. Check it here for free. This is actually the beginning of something new and great in your life as the New Moon inaugurated a new era in your life. Moreover, this New Week will give you the time to do things that you actually love. Spend time in things that make you smile and are capable enough to replenish your batteries. Flirting is also favoured. Your Tarot Card of the Day can reveal so much more. Check it here for free. This is a strong and yet challenging new Week. Although now your powers have been restored and you are much more capable on dealing with issues, it feels like Cosmos has planned some interesting stuff for you. You need to focus you attention on your family and your career as new but demanding situations may occur. Your Tarot Card of the Day can reveal so much more. Check it here for free.